Iraj Hashi, emeritus professor of economics, started his teaching career at Staffordshire University in 1978 as a Lecturer in Economics. His area of specialization has always been microeconomics, industrial economics and, since the early 1990s, economics of transition. He has been the Senior Award Tutor for the undergraduate economics programme, post-graduate economics programme and, most recently, the Research Degree Programme. He has also coordinated the School’s Erasmus, Socrates and Tempus programmes and its activities in CEE. He has also been actively involved in research, teaching and consultancy in transition economies of CEE since 1992, and has worked with universities and research and consultancy institutions in Albania, Bosnia-Herzegovina, Croatia, Czech Republic, Kosovo, North Macedonia, Poland and Russia on a range of projects dealing with challenges of transition in these countries. These projects have been funded by the European Commission, World Bank and other national and international agencies. William Bartlett is Senior Research Fellow in the Political Economy of South East Europe. He holds an MA in Economics from the University of Cambridge, an MA in Development Economics from the School for Oriental and African Studies, and a PhD from the University of Liverpool on the political economy of unemployment and migration in former Yugoslavia (1979). He has been Lecturer in Development Economics and Comparative Economic Systems at the Universities of Southampton, Bath, and Bristol, Research Fellow at the European University Institute in Florence, Italy, and Professor of Social Economics at the School for Policy Studies, University of Bristol. He has been President of the International Association for the Economics of Participation (IAFEP, 1998-2000) and President of the European Association for Comparative Economic Studies (EACES, 2006-08). He has worked as Senior Economic Advisor to the European Commission in Kosovo, and as a consultant to the European Training Foundation, UNDP, and the World Bank and other international organizations on various assignments in South East Europe. He is Honorary Professor at both the London School of Hygiene and Tropical Medicine, and the University of Bristol. Goce Petreski is engaged in the field of economic growth and development, investment, labor economics and international economic issues. 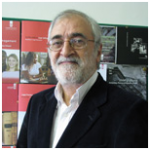 He has held lectures and stayed at many universities and he is a Visiting professor at the University of Zagreb. Besides academic career, acad. Petreski held high public offices, among others, as the development minister in the first government after the independence of North Macedonia (1991-92) and the Macedonian ambassador to the UN (1994-2000). He has held various international posts: Chairman of the Economic and Financial Committee of the 50th anniversary General Assembly of the UN in NY (1995-96); Chairman of the Board of UNCTAD (1997-98), in Geneva; Chief negotiator for the accession of RM to the WTO; part of the initiative and the overall progress of the negotiations with EFTA; he was coordinator of the economic group for succession in Brussels, The Hague and Geneva; Coordinator and co-author of Anti Inflatory Program, 1992; He was a consultant of the EBRD in London; member of the international Blue Ribbon-Reform Commission and the Commission for Securities of the RNM. At the same time, he also pursued significant advisory roles at the Cabinets of the Prime Ministers of the Government of RNM, the Governor of the NBRM and the President of the RNM. He was awarded with the highest state award “Goce Delchev” for the work in the field of science in 2002. As a Full member of the MASA he was elected on 27th of May 2009.